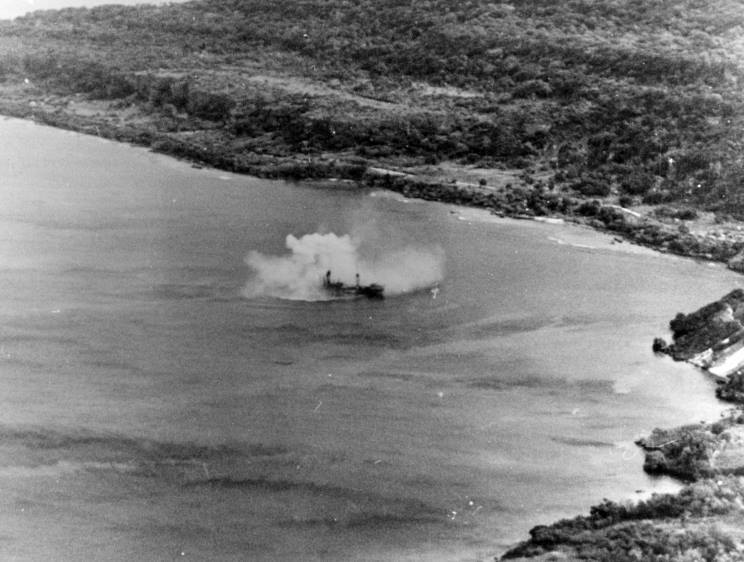 June 23, 1944: Shoun Maru seen off Rota Island, Mariana Islands just minutes before it is attacked and sunk by U.S. aircraft. 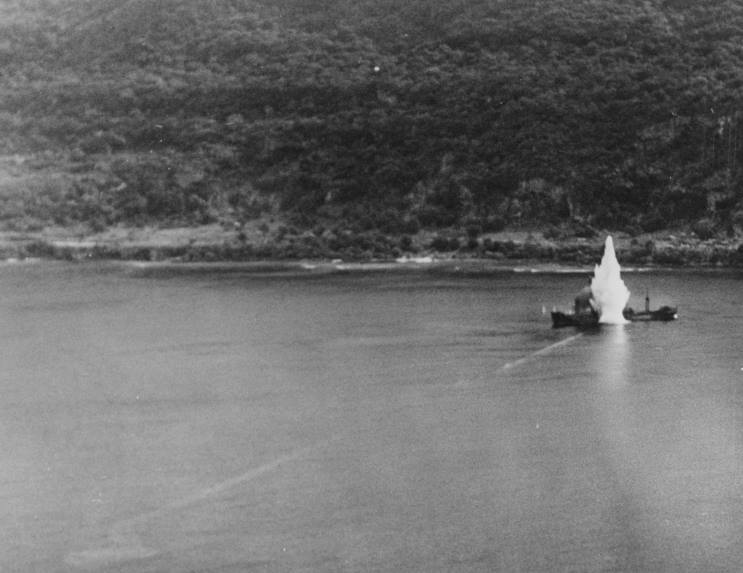 June 23, 1944: A torpedo is seen striking the Shoun Maru. 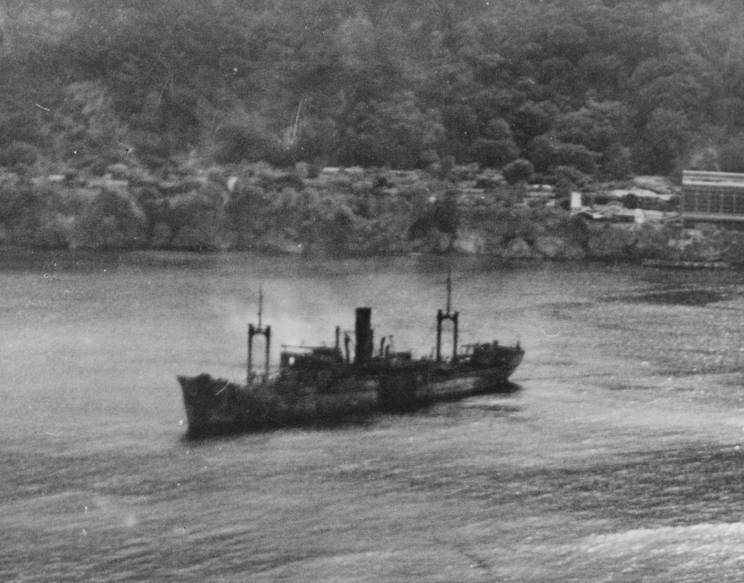 June 23, 1944: Shoun Maru seen sinking after the torpedo attack. 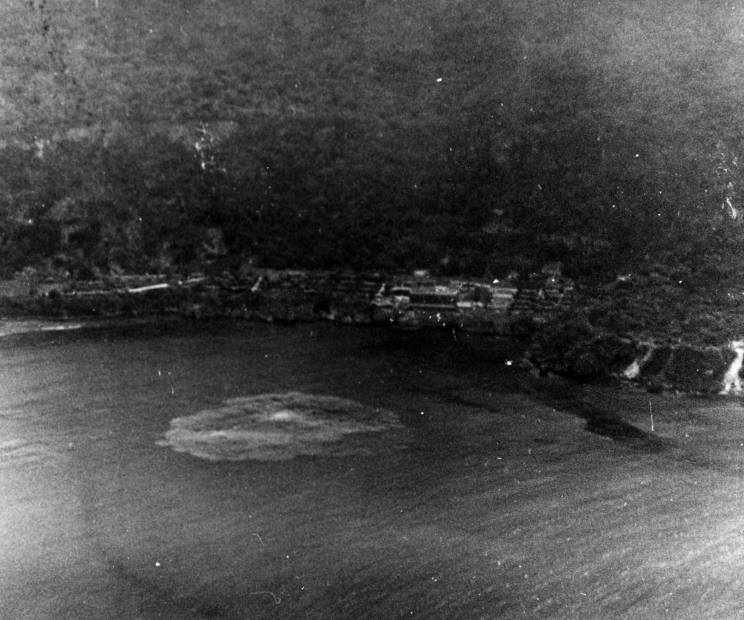 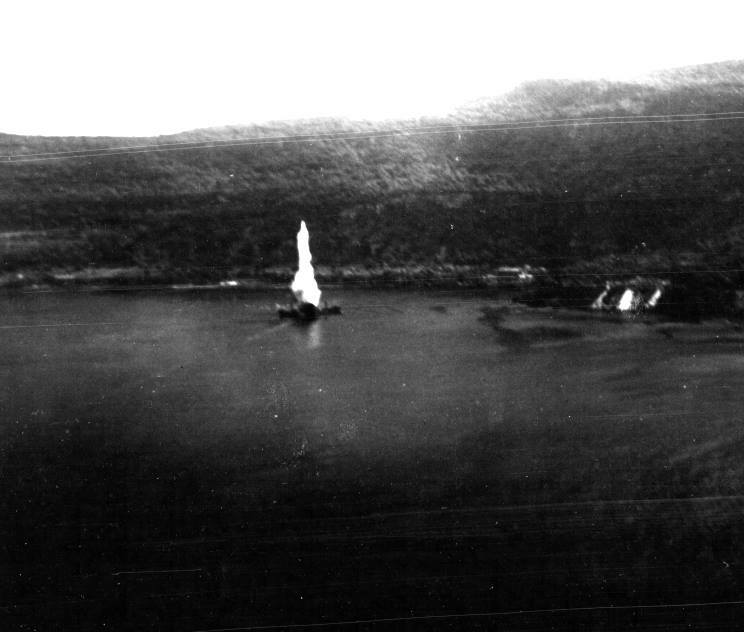 June 23, 1944: The disturbance in the water shown where the Shoun Maru went down.